Retromobile et le National Motor Museum of Beaulieu exposeront quatre automobiles emblématiques de la production Anglo-Saxonne. Scotland is famous for its vast and wild expanses, its mysterious lakes in which legendary monsters lurk, its haggis (stuffed sheep's stomach) for those with somewhat idiosyncratic culinary preferences and, needless to say, its whiskey which goes some way towards providing proud kilt-wearing bagpipe players with comfort. 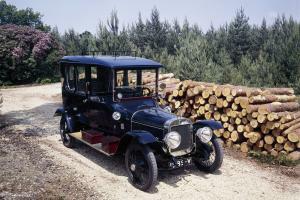 The country still has its secrets, including its very own car manufacturer – Argyll – which built vehicles between 1899 and 1932. 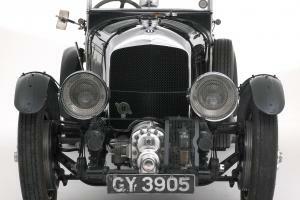 Argyll's motorcar production was extremely high-quality, but completely confidential. In 1906, the Alexandria factory was officially opened by Baron Jon Douglas Scott Montagu, the grandfather of Lord Montagu who founded the National Motor Museum. 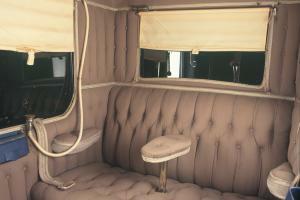 The 1913 Argyll presented by the National Motor Museum is a very rare large travel sedan fitted with a 4.1 L valve-free engine and – for the very first time – a braking system on all 4 wheels. Only 50 of these highly symbolic race cars were ever built. Developed by racing driver Sir Henry Birkin, competition Bentleys of this period lacked power compared with their competitors. 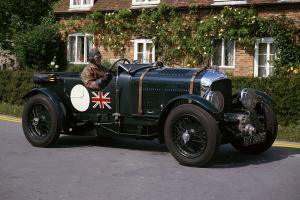 Adding a 4.5 L 6-cylinder compressor helped Bentley win 6 editions of the 24 Hours of Le Mans. 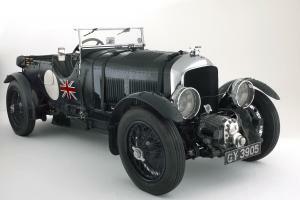 This Bentley Blower will take part in impressive dynamic demonstrations in front of hall 1. This strange vehicle was the brainchild of Rupert Instone, son of Charles Rupert Instone, one of DAIMLER's pilots in the UK. 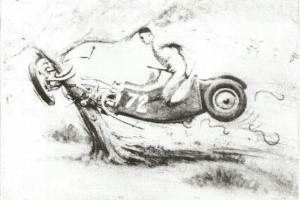 At the end of 1930, Rupert purchased a wreck of an old GN (Godfrey & Nash) cyclecar, and between 1930 and 1931, built his own race vehicle out of it so he could take part in various Hill Climb events across the UK. The "Special" epithet is given to a category of vehicles which compete in UK hill climbs, organised by amateurs, many of whom have put together their own machines from existing parts. 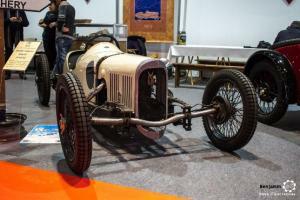 It's a two-seater racing cyclecar with a GN 1000cc semi-pushrod engine, and a GN front horizontally compressed powertrain. The transmission system features 3 axle chain gears. 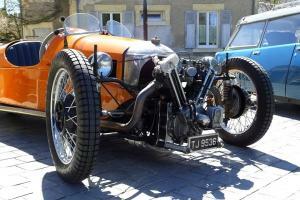 It has no differential, no reverse and no front brake. From 1931 onwards, the GN competed in its first races, but the original engine was replaced with a 1000cc pushrod liquid-cooled JAP engine. This GN had 3 or 4 different engines and was driven by pilots who certainly put them through their paces. And so the name “MARTYR” was born! In 1946, pilot Jack Whittingdale crashed it head-on into a tree. The accident was immortalised by the press as the "Death of the Martyr". The MARTYR was rebuilt between 1947 and 1948. It then returned to the track with a single-seater body, but the same alcohol-fuelled JAP 1100cc engine – which gave it even more power than it had with its compressor. The GN clocked 188 km/h at Goodwood. In the 1990s, Martyr was sold and its new owner restored its bodywork to its original design, turning it back into a car of the belle époque.